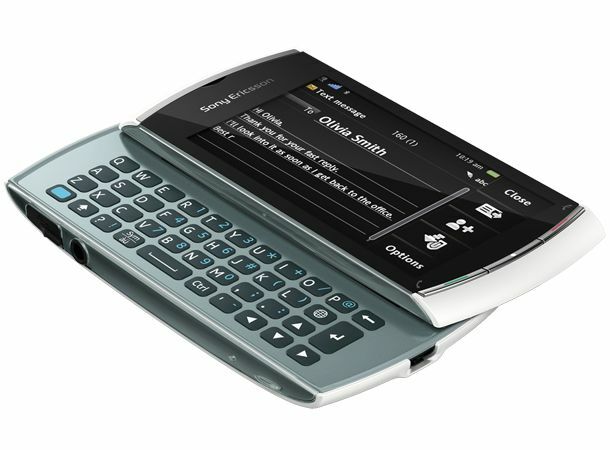 Sony Ericsson's next trick is the Vivaz Pro – a smartphone that's almost identical to the Sony Ericsson Vivaz launched earlier this year but with a couple of crucial differences: a full QWERTY keyboard and only a 5MP camera. However, it's still packing the same headline grabbing features we saw before; namely HD video recording and a svelte frame that sits nicely in the hand. It's let down a little by only packing a resistive screen – anyone that's spent a few seconds swooshing around the iPhone's visage will quickly realise this is a much less responsive and much more infuriating option instead. The screen is bright enough once you whack it up to full light output – anything less and you'll be struggling to see things even in average sunlight. And we can only hope you don't come from the Apple iPhone to Vivaz Pro, as the lag proffered by the ageing and creaking Symbian OS is highly irritating at times. The Vivaz Pro might look fancy, but intuitive it is not - things like threaded conversations available as an option but not used by default you just wouldn't get on other smartphones. This is referenced by the presence of the lock key on the back on the phone, around a centimetre below the top – it's not only very hard to hit, but it has very little travel as well, so it can be hard to lock the phone (plus you have to tap it twice) and unlock it (one tap and hitting an on-screen prompt – making us want to not bother looking at the phone in the first place). The thing about the Symbian OS is that it used to be stellar when the smartphone was still nascent – we'd all put up with ridiculously slow user interfaces if it meant we could run three applications at once. Or even have an application, come to think of it. But now Symbian is more like a wheelbarrow with only one handle compared to the supercars of Android and the iOS. This is shown by the browser – not only do you have to navigate a set of confusing menus just to even connect, each page will then download nearly a MB to display – for those on data limited tariffs, this is just far to byte-hungry. The screen's poor performance means navigating the web is a slow and irritating experience – we actually found ourselves wanting a stylus just make hitting links actually accurate. There's no Flash video, text resizing isn't present the screen is a little small to show most web pages in full HTML – this is a mobile browser and nothing more. Sony Ericsson has traditionally had two aces up its sleeve with mobile phones – the camera and the multimedia. Being a two trick pony isn't enough these days though, and while the camera is fast, the LED flash adequately bright enough (although only a light, rather than a flash) and the picture quality good, we wouldn't recommend it over something like the Motorola Milestone. HD video recording is fine – it starts up fairly quickly and captures the images well, although we slightly preferred the performance of the Samsung Wave when it comes to high definition recording, simply because the quality is fairly similar and the interface more intuitive. Admittedly media wasn't bad – the screen's too small for long-term movie watching, and while it's a 'near HD' resolution screen (360x640 in real money) it's not the sumptuous performance we see on other phones like the HTC Desire. Music is fine – although the 3.5mm headphone jack is on the side of the device, meaning you have to put it in sideways in your pocket to make sure you don't cripple that lovely new set of cans you just bought. It can be hard sometimes to find your music as there's no search function, and while sonically it's a great experience, things like it being very hard to scroll through songs don't impress. You'd think the saving grace would be the keyboard, but this once again is average – it's a slightly cramped effort and while you'll get used to it eventually, you'll find yourself pressing 'm' instead of 'n' on a number of occasions. It's not a bad keyboard; it just doesn't promote fluency in our opinion. On the plus side, the battery is small but ticks along for a good two days – this could be down to much less use as you find yourself not really bothered about the internet experience or constantly emailing your friends. Sadly, despite all the compromises made here, the only way to get this phone for free is on a £30 a month, one and a half year deal – we'd have thought it would be a lot cheaper than that. You can get the Sony Ericsson Xperia X10, a wildly superior phone, for only £50 more upfront – the two should be chasms away in terms of price. Overall, it's hard to recommend this phone to anyone. It's aimed at the younger crowd who like to record in HD video and share it with their friends – simply put, get a Samsung Wave and get a much better experience. For emailing, internet and even basic use this phone isn't anywhere near the front of the pack, despite the high end price.